Xiaomi Redmi Note 2 Specifications:Â This China-based brand has revealed quite a few smartphones since January. Xiaomi is still a head to announce a number of devices in the coming months though, and the Redmi Note 2 is definitely one of them. The first-gen Redmi NoteÂ handset has been announced back in March 2014. Now it ‘s a high time for the company to release its successor. We have seen a couple of Redmi Note 2 rumors thus far, and now we have yet another one to share with you. We finally get to see some real life images of this handset which popped up in China. The Redmi Note was said to be the one of the best selling Xiaomi-branded devices ever, and the company has high hopes from it. Lets have a better view to it by having a look at the Xiaomi Redmi Note 2 Specifications table,its Â advantages and disadvantages and price. 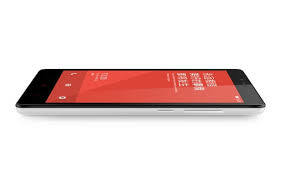 The Xiaomi Redmi Note 2 flaunts a 5.5-inch LCD multi-touch display which provides detailed visuals, rich and vivid colors and razor sharp image quality with a full HD resolution of 1,080 x 1,920 pixels and a pixel density of 401 ppi.Â On the right side, the power/lock button and the volume rocker key are present. They too seem to be made out of metal. For driving its processes the phablet relies on a Qualcomm Snapdragon chipset bearing an octa-core processor and working with a 2GB RAM. Such a beastly configuration gives you the scope to execute tasks smoothly. It runs on the latest Android v4.4 KitKat OS. The main camera in the Xiaomi Redmi Note 2 captures 13MP stills and is inclusive of LED flash apart from other high-end features. The presence of a 5MP snapper on the front is bound to woo selfie crazy people. It has an internal memory 16GB which is further expandable via microSD slot. works on the outdated android. The Redmi Note 2 is expected to launch in the coming months, and you can expect it to be rather affordable, as its predecessor was. The Redmi Note 2 will face tough competition in China though, there are many China-based smartphone OEMs which are offering really well-specced devices these days and you can buy them on the cheap. It is expected to come with a price tag of 10,990 INR. This would be all for theÂ Xiaomi Redmi Note 2 Specifications for more information stay tuned with us.